Home of the Honey Wagon! Is your septic tank clogged? At Billingsley Septic Tank Company, our number one priority is customer satisfaction. Our septic tank contractors will do their best to provide you with exceptional septic tank services at affordable prices. 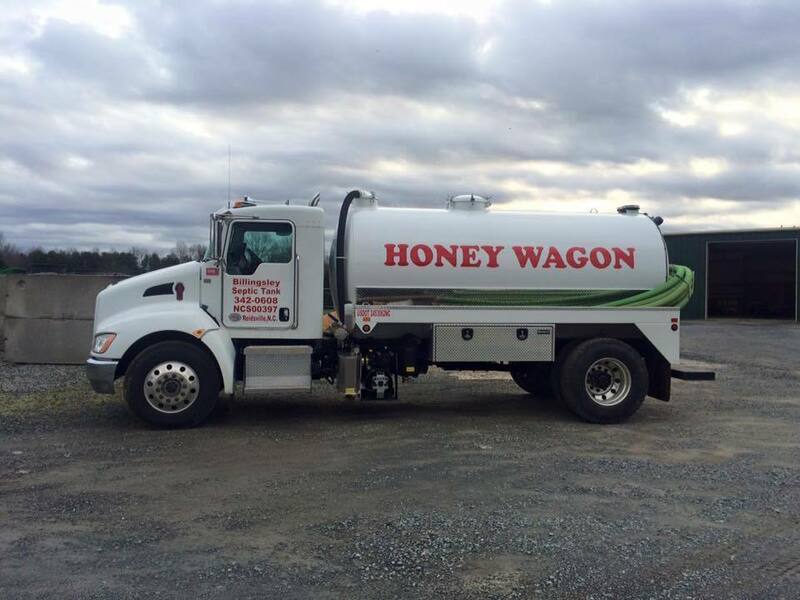 We offer installation, repair, maintenance, cleaning, and pumping of septic tanks as well as grease traps. Contact us today for more information on our septic tank services and rates and a free estimate! Click here to E-Mail us your permit! Is your septic tank clogged? At Billingsley Septic Tank Company, our number one priority is customer satisfaction. Our septic tank contractors will do their best to provide you with exceptional septic tank services at affordable prices. We proudly provide service to Rockingham, Caswell, Central and Northern Guilford and Alamance counties. Copyright ©2019 Billingsley Septic Tank Company. All Rights Reserved.